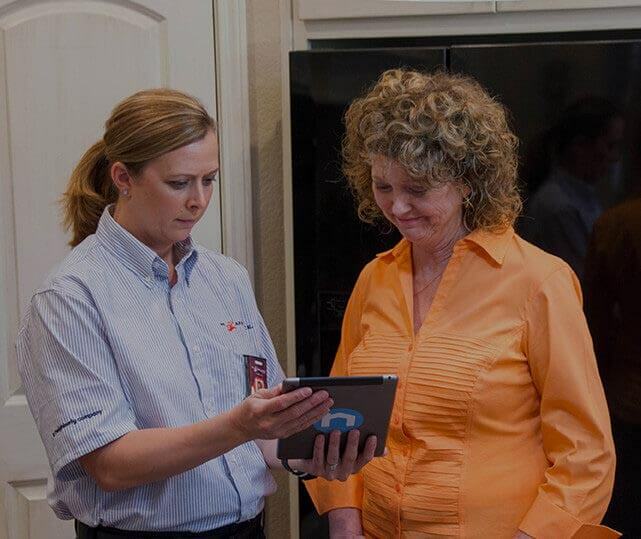 Appliance Repair Experts Schedule Your Service! * Schedule the date & time window you would like for your service! When your appliances begin to break down, you don’t need to stress about replacing them—first, call the premier Hudson appliance repair team, Mr. Appliance! Our qualified experts are trained and authorized in dozens of brands and repair hundreds of different products. We provide a straightforward, stress-free way of repairing all of your aging or malfunctioning appliances. Simply call us for service, and we will show up on time and professionally-dressed. Once we take a look at your needs, we provide you with an upfront quote, with flat-rate prices. Because we charge by the job, not the hour, you’ll know exactly how much you’re paying and for what. Don’t settle for amateur repairs—get your appliances working like new again! Call (651) 504-0324 for our Hudson appliance service today. Our fully-trained, highly-experienced technicians are not looking to give your appliances a band-aid. Our work is authorized by major brand manufacturers, so our workmanship returns your appliance to top working order. Why does that matter? It means your appliance will work the way it should for even longer. That’s why we offer a 100% guarantee on all our parts and workmanships—we want to make sure your household stays working and stress-free for a long, long time. What else sets us apart? Prices by the job, not the hour—no hidden charges! Everything we do at Mr. Appliance of Hudson is designed to make your life easier. That’s why authorized repairs, clean workspaces, and timely arrivals are so important to us—because they’re important to our customers. Our aim is to make sure you have a service you can trust and depend on for all your appliance repair needs in western Wisconsin. With upfront prices, quality work, and dedication to your satisfaction, there’s no reason not to call! Schedule service with us at (651) 504-0324 today. Get in Touch with the Experts Book Your Repair Today!